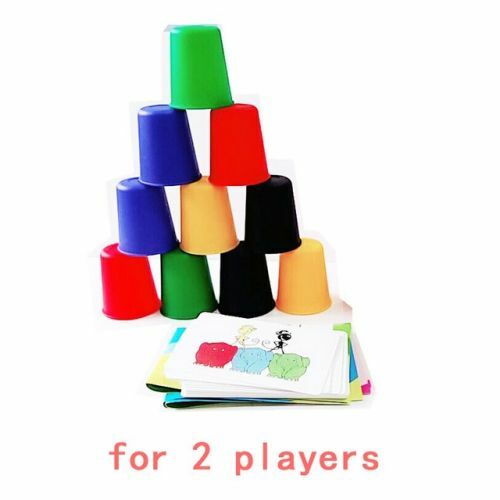 Speed Cups Game is a simple color matching cup stacking game! Speed Cups is a great game where kids can outperform their parents if they have a quick eye and hands! It’s a game for everyone to play and ANYONE can be the winner! Arrange cups as per color in the card, the quickest person rings the bell and wins. It helps to promote reaction speed. It has five colored items which may be horizontal or vertical. Game Rule is to stack 5 colored cups in an order which is matched with the picture. After doing this ring the bell and you have gained a point. This game can be played between 2-4 players and age of players should be above 6 Years. You can also play with your family and friends.